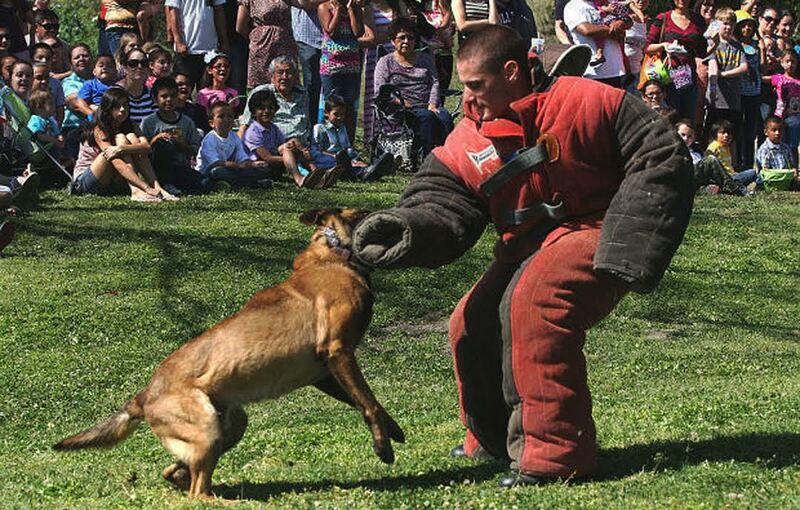 Former Kings County Deputy Sheriff Alex Geiger and “Boss” with a demonstration at Hidden Valley Park in Hanford, Calif. in 2013. Reprinted with permission from the Hanford Sentinel. Update: Kings County Sheriff’s Department officials said the dog who attacked two people in Grover Beach was not trained by or a K-9 officer for their department. 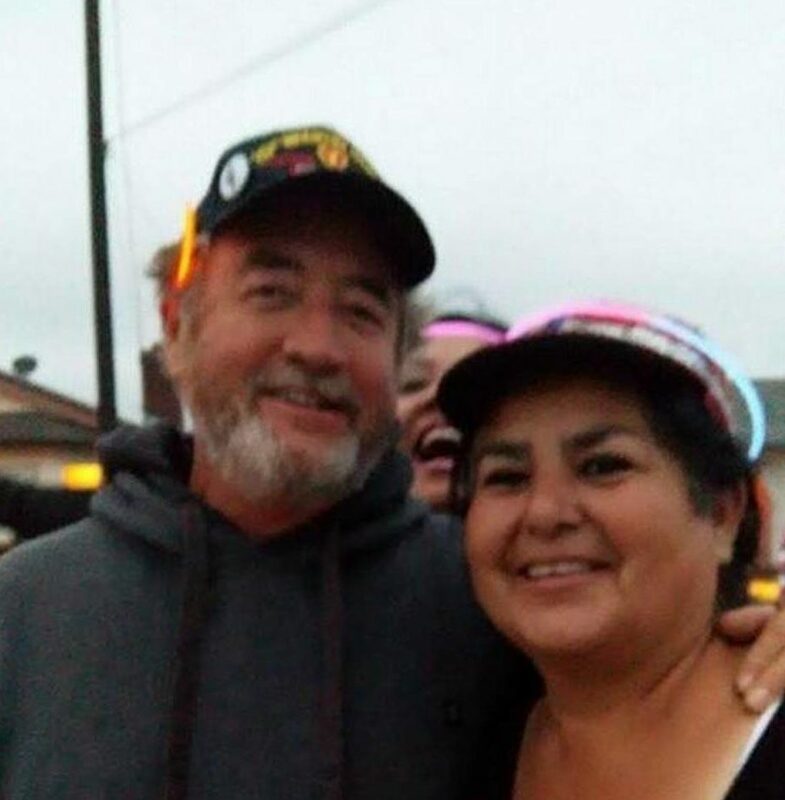 Original: The Grover Beach police officer whose dog attacked and killed a 64-year-old man worked with police dogs in Kings County. However, officials are not disclosing if the dog that attacked two people in Grover Beach was trained as a canine officer. Last week, Grover Beach Police Officer Alex Geiger’s dog attacked Betty Long, 85, in her front yard. Long’s neighbor, David Fear, went to assist the woman and the officer’s Belgian Malinois turned his aggression on the man now being called a hero. Fear lost six pints of blood as a result of the attack. The dog bites severed two arteries in his arm, and Fear developed an infection from the bites. Fear died on Friday from his injuries. Before going to work for the Grover Beach Police Department in September, Geiger worked as an officer with the Exeter Police Department. He also worked as a deputy with the Kings County Sheriff’s Department in 2012 and 2013. Officials from the Kings County Sheriff’s Department said the deputy in charge of the K-9 unit is on vacation for the next two weeks, and that he would have to confirm whether or not Geiger worked in the K-9 unit. Nevertheless, Sargent Lydia Montoya said if a K-9 officer becomes too excitable or its trainer leaves, the department will often retire the canine or have it destroyed. If the trainer is permitted to keep the dog, they must sign an agreement releasing the department from liability, Montoya said. The Merced Police Department also has a K-9 unit, but while staff has confirmed Geiger worked for the department, officers said they are not at liberty to say whether or not he worked in the K-9 unit or if the dog was trained as a canine officer. This article is incorrect, I am a retired officer and I have owned K-9 school dogs that did not make it as officers, they simply put them up for adoption and they become household pets. Most service dogs are trained to protect there masters and will attack in a aggressive manner if provoked.. now this case has too many unanswered questions. Though many of the unanswered questions are a result of the “Wall of Blue”, LEO’s refusing to release to the public information by hiding behind “It’s personnel issue”, just stop hiding. Will they attack when provoked, or when they are ordered to? That is a very important question that needs to be answered. And just look at that photo… what would have happened if a kid decided to stand up and run away at just the right moment? Almost anyone can get a dog. On the other hand, it is unmistakable that only a very few people have what it takes to be a responsible, courteous, vigilant dog owner. Many well-meaning people make New Year’s resolutions but quickly “forget” what they pledged. Too many people with dogs *intend* to be attentive but the cares of life quickly take priority over the needs of the dog. Owning a dog is a big, long-term commitment and must not ever be taken lightly. Perhaps Officer Alex Geiger of Grover Beach Police Department is too young to have realized the deadly consequences of not being fully engaged in the 24/7 monitoring of his dogs. The victims’ families and our entire community continue to await the results of Dr. Anderson’s ongoing investigation. If he is old enough and mature enough to carry around a loaded weapon then he is old enough to control his animal. No bullsh*t excuses. And yet we have SLO Sheriff Fellows, driving 100+mph, DUI, carrying a loaded gun on his person, with a passenger, clearly no maturity there and nothing “real” happens to him so LEO’s think they have special protection why change. I see this well reasoned post has a bunch of down votes. Is this site monitored by trolls and complete idiots? Mariposa makes simple and accurate points that are taken too lightly by most folks. It’s a big deal to manage the responsibilities of having a dog, not at all hard if one has a brain, heart and the time to do it well. Though not a big deal most people are not up to it. And with any dangerous type breed the pressure mounts considerably. I ask all people: would you allow your dog (unrestrained) anywhere near children it didn’t know? Dogs it didn’t know? If you answer ‘no’ then you probably aren’t spending the time and effort to claim to be a good manager.